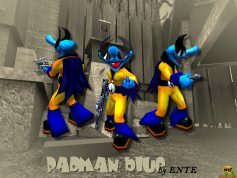 PADMAN is a comic figure created by ENTE and the “meanest gamer of the world”. 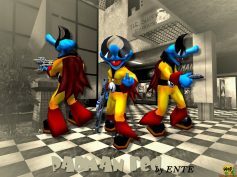 At least in the PSG magazine he presented himself as the heroic PlayStation defender, no matter if it is Nintendo’s Mario, Lara Croft from Tomb Raider or also the good old Duke Nukem, Padman buried them all! 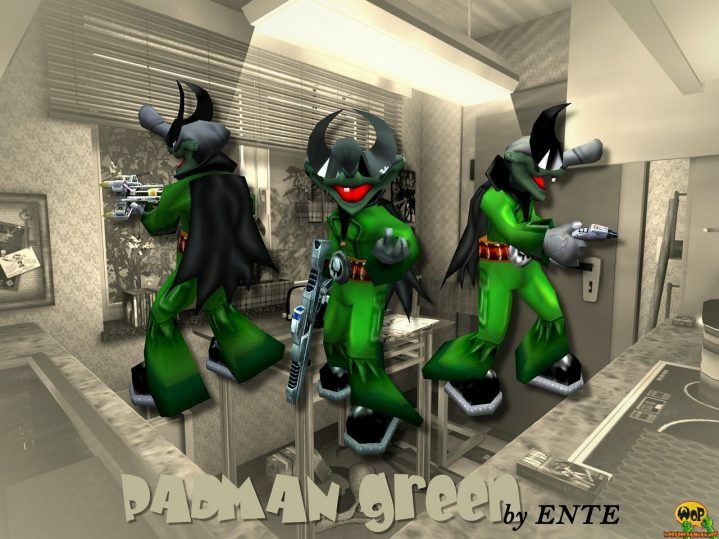 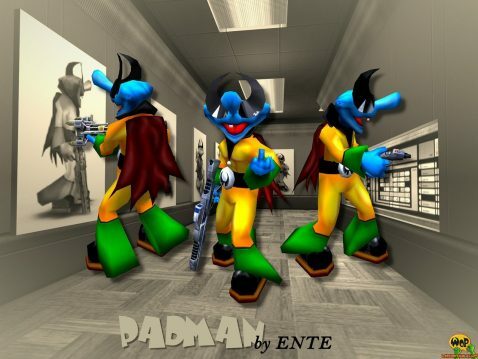 With ENTE’s PadMaps, Padman found his way as a game character into the worlds of Quake 3 Arena and Star Trek: Voyager – Elite Force, and later got his own game world with the World of Padman..